Un chalet de plage à Guilderton (Moore River) à environ une heure de route de Perth. Idéal pour les escapades familiales. Le chalet est adapté à deux familles. La cuisine de bonne taille est équipée d'un four, d'un four micro-ondes et d'un réfrigérateur. Il y a un téléviseur et un lecteur DVD (pas de réception de télévision commerciale). Les autres équipements comprennent une machine à laver, un fer et une chaise haute. Veuillez fournir tous vos propres draps et serviettes. Comme avec de nombreuses propriétés dans la rivière Moore, le chalet n'a pas de barrière périmétrique et certains invités qui restent la maison sont allergiques aux animaux, pour ces raisons, nous n'autorisons pas les animaux de compagnie au chalet. 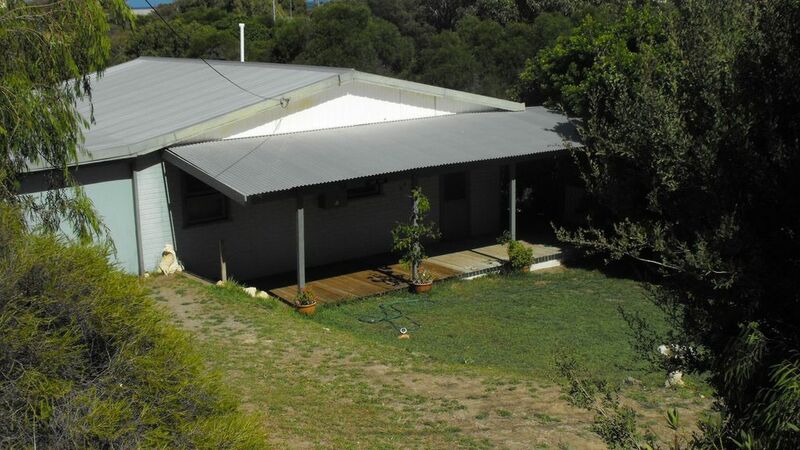 A comfortable, older style, house with plenty of space to spread out and everything you need for a relaxing stay, just an hour from Perth. Walk to the beach and general store and short drive to the river mouth. We enjoyed breakfast on the sunny verandah and board games on the kitchen table. Thanks for having us! This house was great for a small group of friends to get together and have a fun weekend away being super close to the beach, park and river. We had a lovely long weekend staying here with another family with young children. Scooting/ walking distance to the beach, a short drive to the river and lots of fun to be had. The house had everything we needed in a quiet location, lots of thought has clearly gone into what's required. The girls enjoyed scooting around the deck, the many bunk beds to choose from and all the board games. The hosts were lovely and very accommodating - a great trip. This little place is perfect for what we wanted. It was affordable for the two of us (and baby) but has so many extra beds. Our only issue was the bedroom door handle not working one morning which effectively locked us out of the house. However, the owners were extremely responsive and began driving our way as soon as they found out. They were very forgiving when we called them 50 minutes later to say that we'd managed to "break in" without causing any damage to their property. Had a good two night stay. The house is comfortably and colourfully furnished, even tho it’s an old fribro house. Very well stocked kitchen. Great stove. Great shower. Fun board games for the family. Nothing fancy, but that’s what you want when you just want to chill out and not worry about bringing in sand from the day at the beach/river/fishing. Beach is only 3min walk and river is 10min walk.